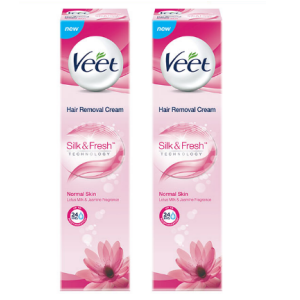 Snapdeal offering Veet Hair Removal Cream-Normal Skin – 100 g (Pack of 2) Rs. 174 at 50% discount. Rs. 30 shipping for orders below Rs. 199, else free.